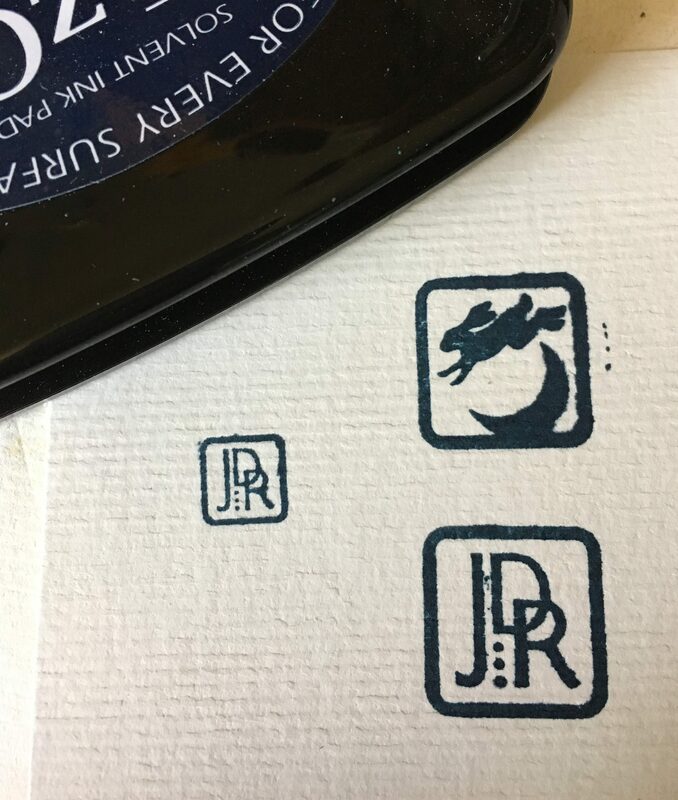 Over the moon about my new Maker’s Mark! This post has been a long time in the making. The making of this Maker’s Mark! My Graphic Designer and all around gal pal Betsy Mortenson has been working with me for a year or so. While the process isn’t that long in and of itself – working around her schedule, my schedule… you see the time frame now! Betsy was divine! We would lunch, I would ramble, she would extrapolate real info from y over caffeinated musings. She anted to know whose packaging I liked… my first thought was Rachel of Dida Metals. Her logo is clear, and uniquely hers. 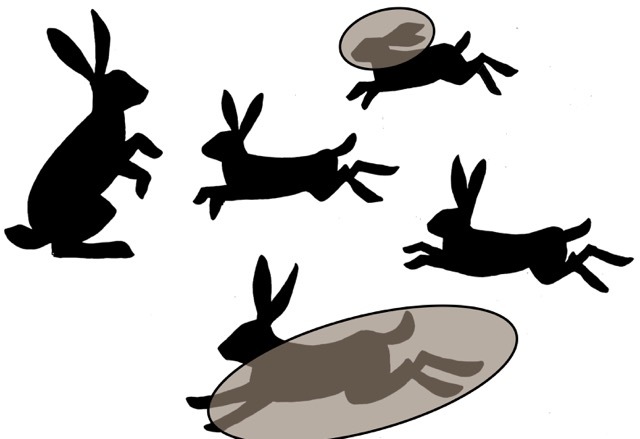 It related to her personally, but you do not need that background info to appreciate the clear graphic quality. Rachel uses this logo on all her cards and packaging – as a “brand” should be! 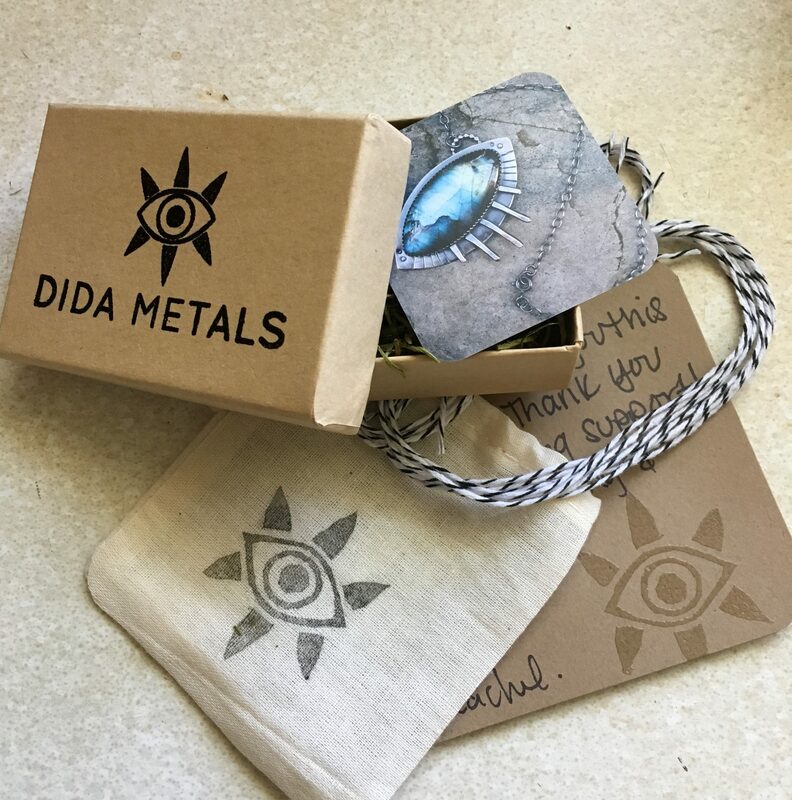 Dida metals: my packaging inspiration and metals friend. Evolution of an idea. Images (c) Betsy Mortenson. 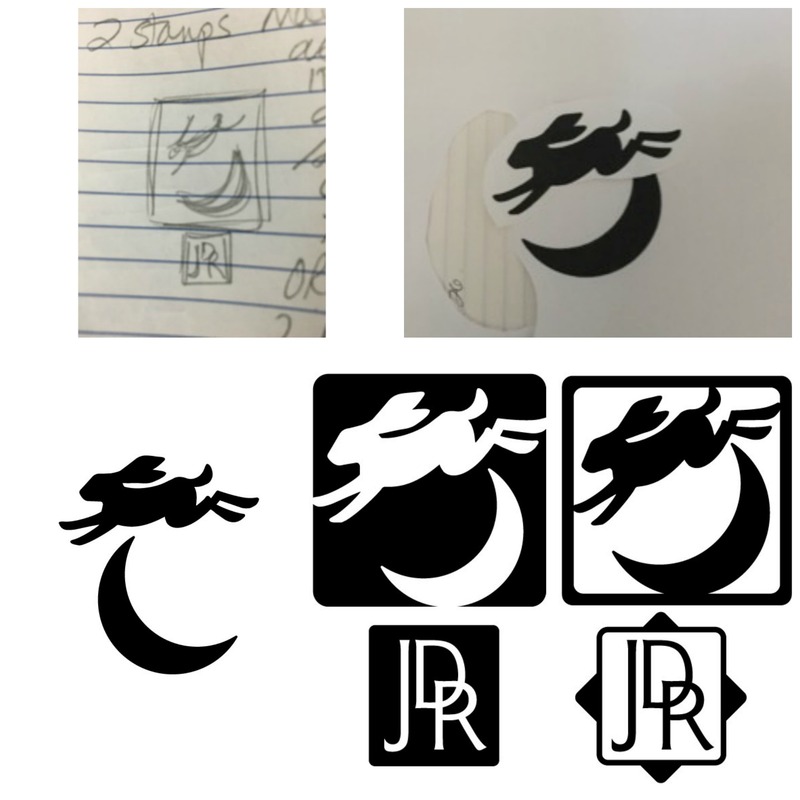 From my chicken scratch in m y notebook, and from my Lunar hare tile… the idea was born! Its so wonderful! I have a gross of muslin bags to stamp as my new jewelry bags. ( Where I put them safely in my studio is another question. ) 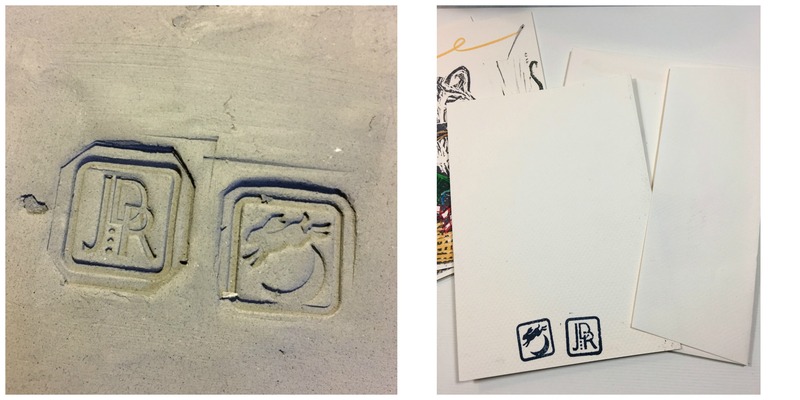 I have happily stamped my most recent tiles with my mark – and even these lino print cards! In the future I will glaze the marks on the tiles – it was so new to me I forgot! And the 1″ size is great for jewelry hang tags. The overall look was partially inspired by Asian “chop” marks. These two can be stamper with overlapping corners as well, for a more unified presentation. All in all I couldn’t be more thrilled. This is really a soft launch of my new brand identity… but one step at a time. You will be seeing more of this in the future. 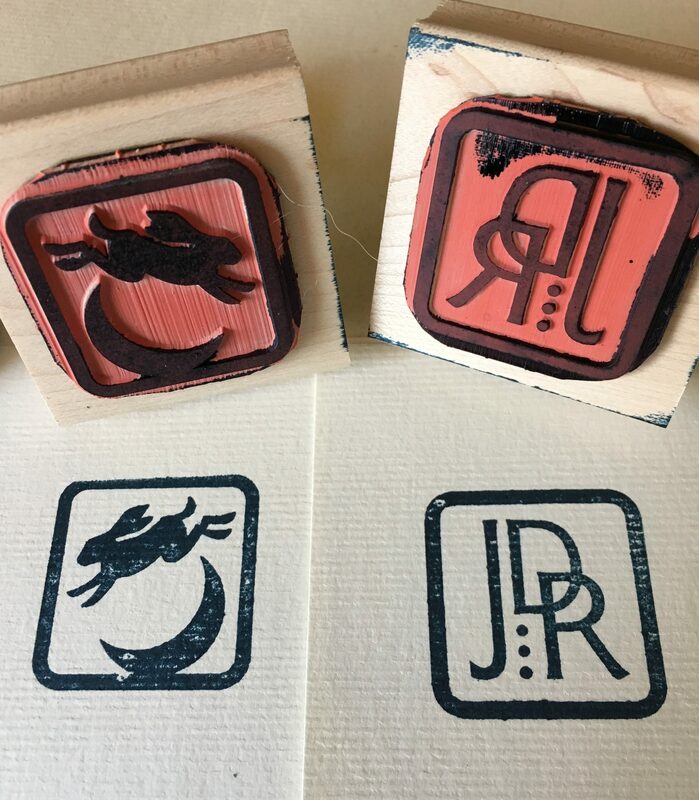 When I can – I plan to have the initials made into a custom metal stamp for my jewelry pieces. I would love to hear your comments!